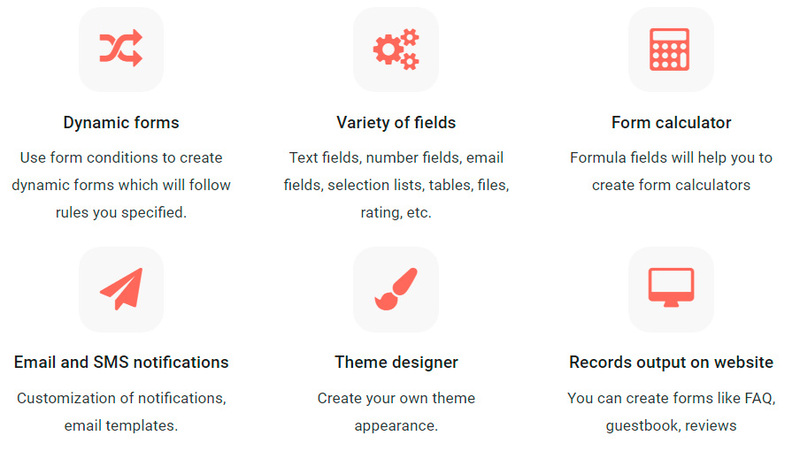 License grants you to install the app on your own web server or hosting (PHP / MySQL), - or to use Web-forms app in the cloud with no additional charge on any pricing plan ($10.99/mo app rental fee will be waived). Surveys - Researches and customer surveys. Form conditions - Fields appear/hide according to your rules. Question/answer (FAQ) - Forms with admin answer, premoderation. Calculators - Estimate product price and services online. Contact forms - Invitation forms, contact forms. Popup forms - Callback forms, minishop, info in popup.